There's a water closet in your water closet. Inception! 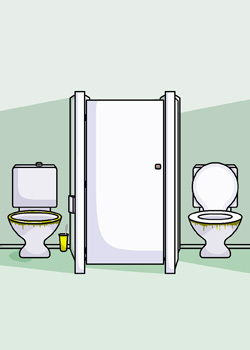 Why are we separated by two walls and a lockable door around another toilet? Maybe the middle John is shy? Or the artist was an idiot. Stall, stall will tear us apart... again.